Kyshona Armstrong, a music therapist gone rogue, has a natural gift for using music to tap into emotion. She began her career as a music therapist, working in mental health hospitals and correctional facilities, writing music with her patients and using music to redirect behaviors and emotions. Kyshona soon found the need to write music independently to help her process her daily experiences with her clients. Audiences will often find a common thread of overcoming, hope, and empowerment in her songwriting and storytelling. She uses her emotional intelligence to create her unique bluesy and soulful style of music. Her latest album, “The Ride”, shows off vocal stylings that are reminiscent of Aretha Franklin, Etta James and Al Green. She has four independent releases under her belt- 2016’s full length album “The Ride”, 2008’s EP “Music”; 2011’s EP “Home Again”; and 2014’s crowdfunded full length album, entitled “Go”. 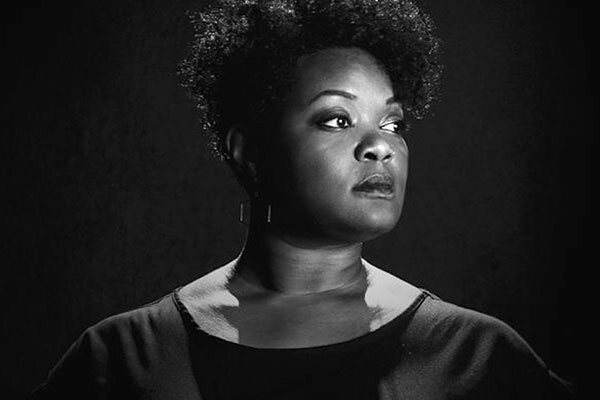 As she has traveled across the country the last 7 years, Kyshona has had the privilege of sharing the stage with Wynonna Judd, Lake Street Dive, Meiko, Margo Price, Lera Lynn, Hope For Agoldensummer, Angel Snow, Randall Bramblett, Dwayne Shivers, Anthony David, Cracker, and many more. She currently resides in Nashville, TN where she is writing, performing and donating her time to youth empowerment programs in her community and performing for the incarcerated.